I began to get some really mean/obscene/threatening comments a couple of days ago and ended up turning off the comments. Now I see that another blogger has announced that I am sending harassing comments "to everyone." All I can think is that someone else is commenting in my name. Those of you who follow this blog and know me will believe that I do not take part in anything like this. I have removed my list of "blogs that I follow" in the hope that none of you will fall victim to the unkindness of whoever is doing these things. 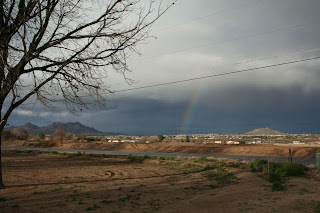 I am feeling pretty discouraged about the blogging world right now. 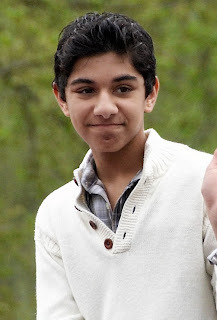 You might be interested in reading this article about Cyber Harassment and Cyber-Stalking on Google's Blogger. When I was a kid and first heard about the concept of "pay TV" I pictured a little coin slot on the top our our black and white TV set, sitting right in front of the rabbit ears. My little sister and I also thought that there was a pair of hands inside the automatic dishwasher, scrubbing away. How could we have known otherwise? It was early days for technology. Somehow, over the years, pay TV has insinuated itself into our lives, with monthly costs increasing to the point where the cable bill has become something to be reckoned with, indeed! I scarcely ever watch live TV, and somehow found myself paying hundreds of dollars each year for just the few Red Sox baseball games shown in our viewing area. In solidarity with my blogging friends, Pat (Sorry Charter or No Cable for You) in Massachusetts, and Pam (Time to Go Back to the Antenna TV for Us) in Georgia, and in the interest of making life simpler and cheaper, I am going to try life without cable TV. My first move was to check to see that I would still be able to find episodes of The Office, Lost and Ugly Betty online. No problem--I can continue to watch whole seasons at a time via Netflix, and I can catch the latest seasons on TV Duck or Hulu or on the network channel websites themselves. Next--the Red Sox. No matter how I tried to convince the customer representative in India for my cable company that I am NOT in the local viewing area for Boston, most of the Red Sox games on the New England Sports Network were blacked out for my part of New Mexico. I think I'm going to switch over to listening to the games on the radio. Here is a site with links to Red Sox radio stations. I suspect that I could also get the audio for the games on the Red Sox website, but it so cluttered with stuff and ads for pay video that I don't have the patience to wade through it all. This is what it looks like sometimes at White Sands National Monument in southern New Mexico: Sand-covered roadways blending into blindingly white gypsum dunes, blue mountains in the distance, and clear blue skies. It's like Nature at its plainest and most elemental--basic colors that could have come straight out of the 8-crayon Crayola box, no fancy blends. Of course, if you hang around at sunrise or sunset, you see a whole different scene and the kind of colors found only in the 64-crayon Crayola box, the one we always wanted and seldom got when we were kids. 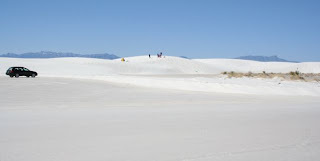 On the day I went to White Sands, the whites were so white and the sun was so strong that the tears ran down my cheeks and I could hardly open my eyes. 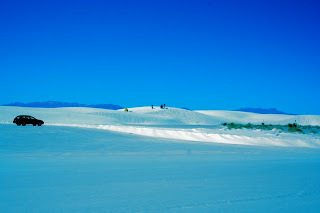 Those people in the distance were sledding on the dunes, by the way. 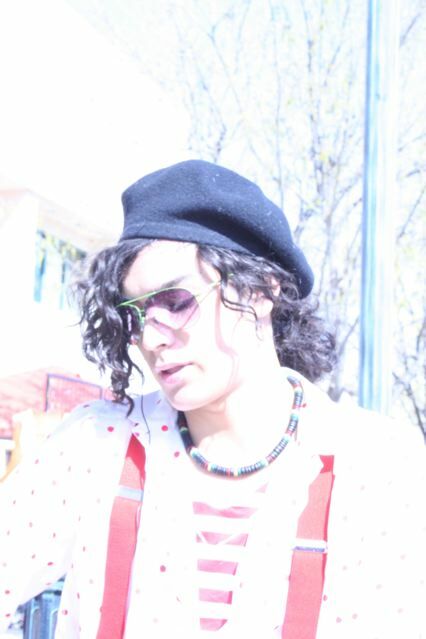 They obviously had better sunglasses than mine! Just for fun, I played a bit with the color. I wish I had some sunglasses that would do this. 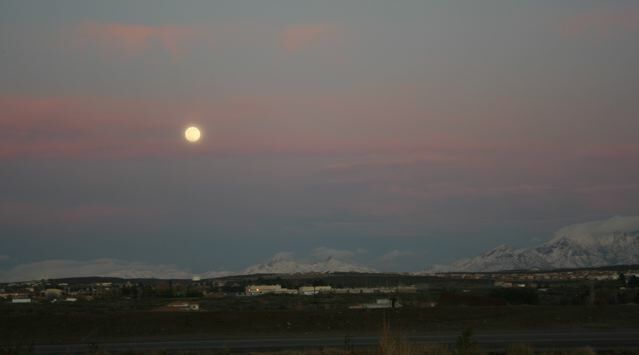 For all kinds of skies in all kinds of colors, go to Skywatch. 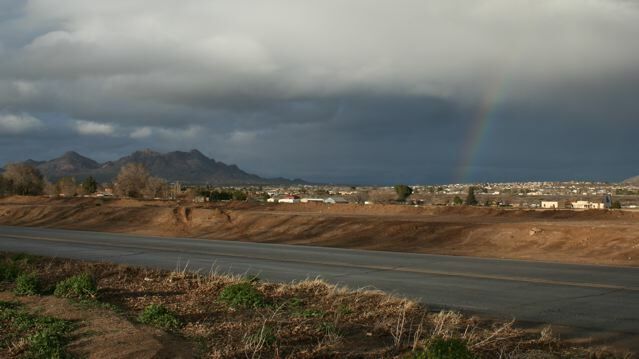 Ever since we moved to Las Cruces, we've had a long list of places we want to visit. Once we heard of its existence, the San Andres National Wildlife Refuge was added to that list. 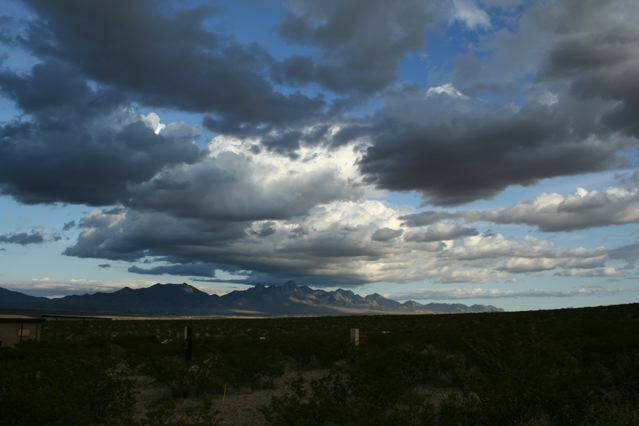 Imagine--over 57,000 acres of Chihuahuan Desert, just waiting for exploration. 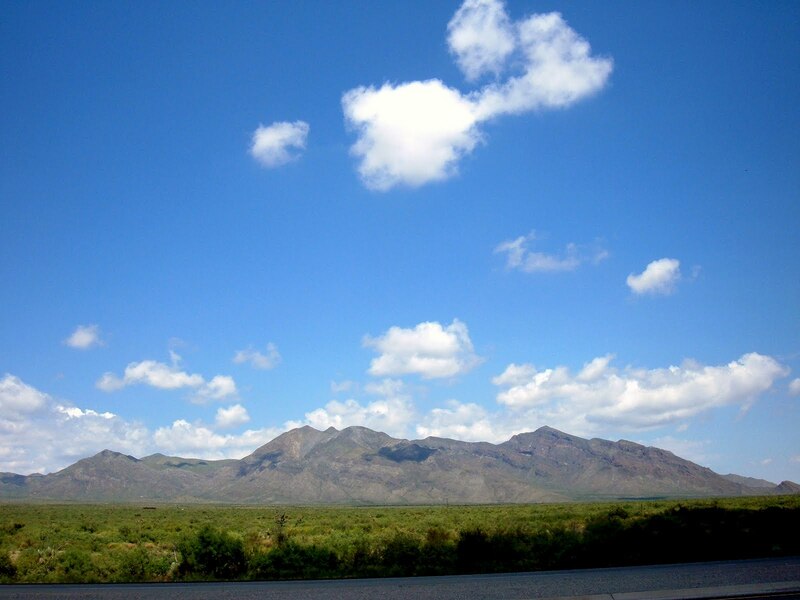 This 57,215 acre Refuge extends over 21 miles along the southern portion of the San Andres Mountains in southern New Mexico. It supports a population of State endangered desert bighorn sheep, as well as mule deer, mountain lions, and golden eagles. Thirty eight species of mammals and 142 species of birds have been documented on the Refuge. The Refuge is located within the White Sands Missile Range and is therefore closed to public entry due to their security protocols. [Emphasis mine]. According to the Refuge brochure, although not generally open to the public, local educational programs or guided group tours of the San Andres National Wildlife Refuge can be arranged (well in advance, due to security regulations) by contacting the Refuge office. The Refuge was established in 1941; since 1952 there has been no grazing there by domestic stock, which has allowed the land to recover some of its pre-grazing vegetation. One of the main goals at the Refuge is to restore the local population of desert bighorn sheep--you can read about that project here. 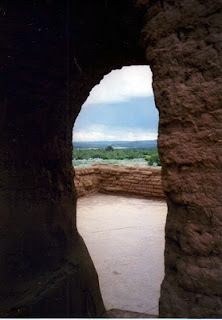 What we can do to learn about this desert gem is to visit its website, which is maintained by the U.S. Fish and Wildlife Service. Set aside some time to explore this really excellent site--I've been working my way through it for several days. My favorite part, so far, is the photo gallery, which includes (among many other collections) sections on birds (photos together with audio clips), historical photos, some fascinating shots from remote cameras that capture visits to a watering station by mountain lions and javelinas, and a collection of landscape photos of some of the prettiest desert land you'll never see. To get a feel for the area, you can explore nearby lands with public access: The White Sands National Monument, run by the National Parks Service; and the Aguirre Spring Campground, which is administered by the Bureau of Land Management. I am learning more about this part of the Chihuahuan Desert all the time. 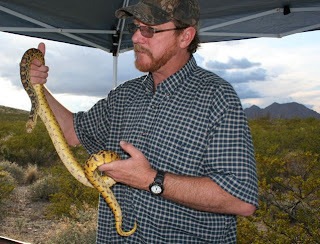 When we went to Night in the Desert last week we met a lot of experts, one of whom was Doug Burkett. I've been reading his book, Amphibians and Reptiles of White Sands Missile Range; Field Guide 2008* and would like to share some facts from the book with you. 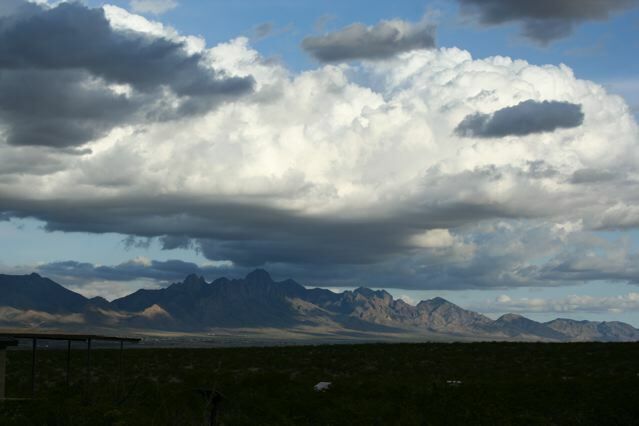 The White Sands Missile Range (often referred to as WSMR) is located on the other side of the San Andres, San Augustin, and Organ Mountains from Las Cruces, where I live. I had no idea that the range was such a huge tract of land! 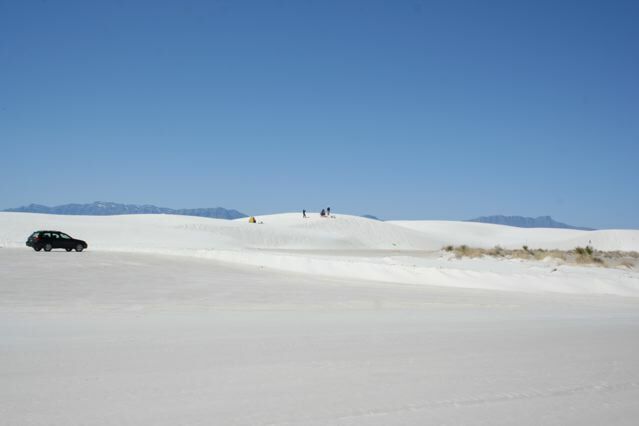 It has over 2.2 million acres, and within its borders contains White Sands National Monument and the San Andres National Wildlife Refuge. 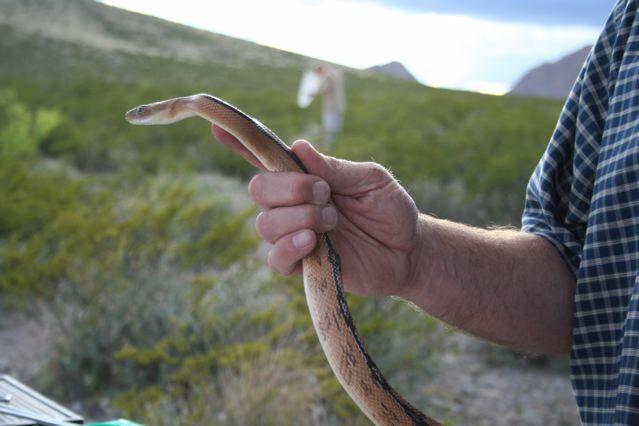 Quoting from the book: Seven species of amphibians and 47 species of reptiles, representing 3 orders and 12 families have been documented on WSMR. 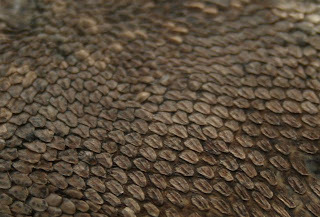 There are six species of toads (3 spadefoot toads and 3 true toads), 1 salamander, 1 turtle, 19 lizards, and 27 snakes. Five rattlesnake species occur on WSMR and bites from all are potentially lethal. 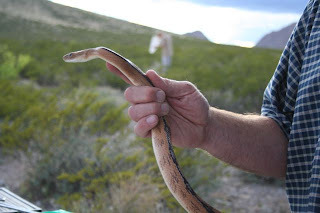 All other snakes occurring on WSMR are either nonvenomous or mildly venomous and are not dangerous to humans. The color of the Southern Plateau Lizard (Sceloporus cowlesi) "ranges from white on gypsum dunes (found at the White Sands National Monument) to nearly black on lava flows," such as the one near Carrizozo. 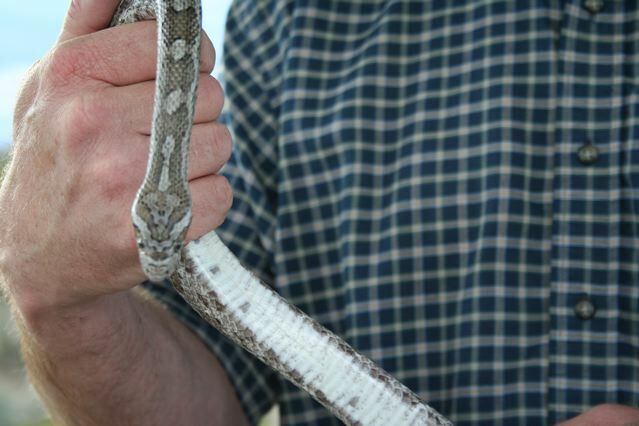 A population of Trans-Pecos Ratsnakes (Bogertophis subocularis) from the Carrizozo Lava Flow is consistently darker than the same kind of snake living in other areas of WSMR. Hog-nosed Snakes (Heterodon nasicus) "do not constrict prey, but sometimes grasp lizards in their mouth and repeatedly roll over to help subdue the prey before swallowing." 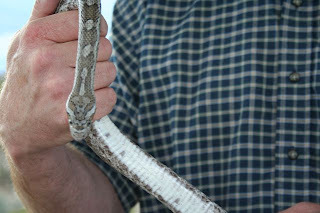 A Night Snake (Hypsigiena torquata) "in captivity bit and paralyzed a Gray Banded Kingsnake (Lampropeltis alterna) nearly twice its weight and attempted to consume it. 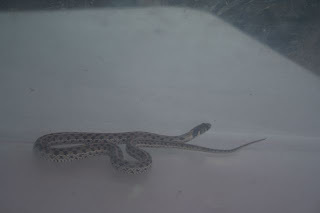 After a forced release, the kingsnake revived within 20 minutes." "A Great Plains Ratsnake [Pantherophis emoryi] in captivity ate an adult Hog-nosed Snake after sharing a tank for 5 years." 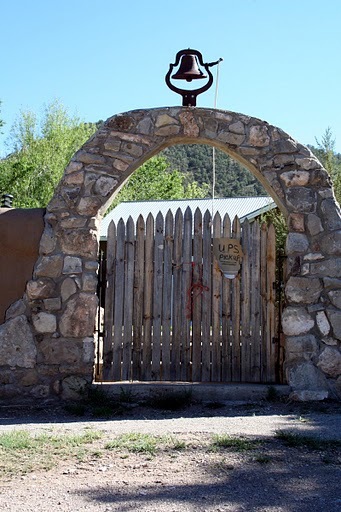 ~or you could try contacting the White Sands Missile Range online. 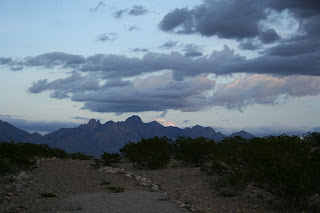 These photos were taken at dusk at the Chihuahuan Desert Nature Park, northeast of Las Cruces, New Mexico. We were in the Doña Ana Mountains looking toward the San Andres Mountains, San Augustin Mountains, and the Organ Mountains, with the Jornada Basin below. 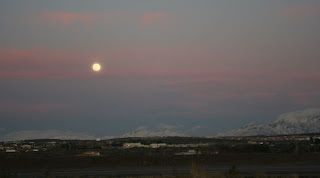 Be sure to check out Skywatch to see skies from all over the world. Here is the photo from yesterday's post that was giving you a hint about the next learning station at the Nighttime in the Desert program we attended last weekend. 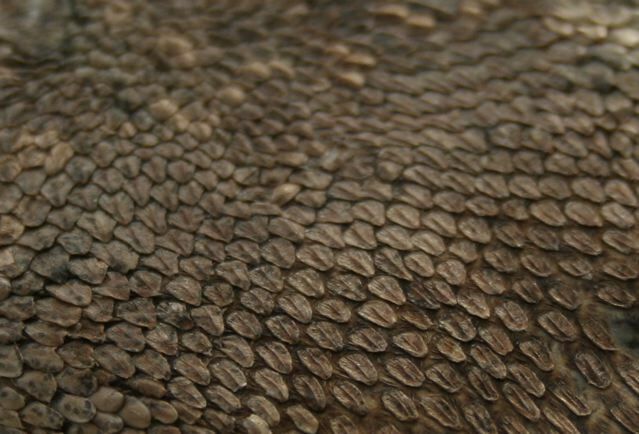 If you guessed that it was a close up of snakeskin, you were absolutely right. Sorry, but you knew we'd have to talk about snakes, sooner or later! Here's the funny thing about the photos above. I asked permission (of course) to take photos while there were just a few people at the learning station and was so intent on getting the pictures, leaning in nice and close, that I totally forgot about the presenter. He was holding a fairly large (and very alive) specimen just inches above the spot where I had maneuvered my head and camera to take the shot of the rattlers on the dead snake. 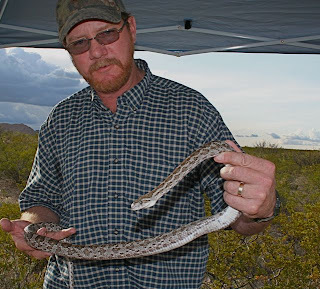 Once I got over my close brush with desert snakedom, I realized how lucky we were to have Doug Burkett, author of Amphibians & Reptiles of White Sands Missile Range; Field Guide 2008, right there with us to share his knowledge. 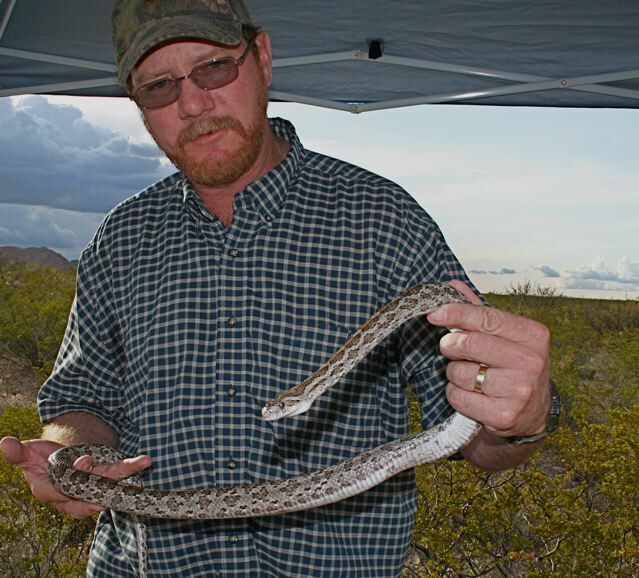 Doug has been interested in snakes since he was in elementary school, and in his 18 years out on the White Sands Missile Range he has studied and collected specimens of its reptiles and amphibians. He is an absolutely marvelous speaker and goes to elementary and middle schools around southern New Mexico to teach about desert animals. The kids must be fascinated! Here are some of the things about snake behavior that we learned. Snakes don't see you; they sense your heat and figure out how big you are. Based on your size, a snake determines whether you are something to eat, or something that wants to eat him. If you interrupt a snake when he is headed somewhere, his inclination will be to continue in that direction when he gets the chance. For instance, if you are standing west of a snake who is traveling from east to west, and if you should pick up the snake (the mind boggles!) and toss him back along his trail, he will come right back at you. This isn't because he is coming at you, it's just because he is still headed in his original direction. If you've ever tried to help a turtle across a road, you will recognize this behavior--don't try to turn him around, because he knows where he is going. If you should try to capture a snake by grabbing him behind the head, he will struggle. Wouldn't you? 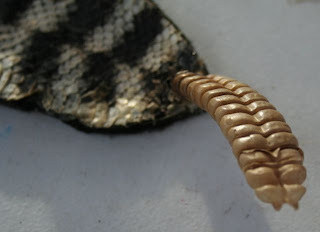 Doug demonstrated how you should place your hand along the snake's back and ease your other hand up toward the head. 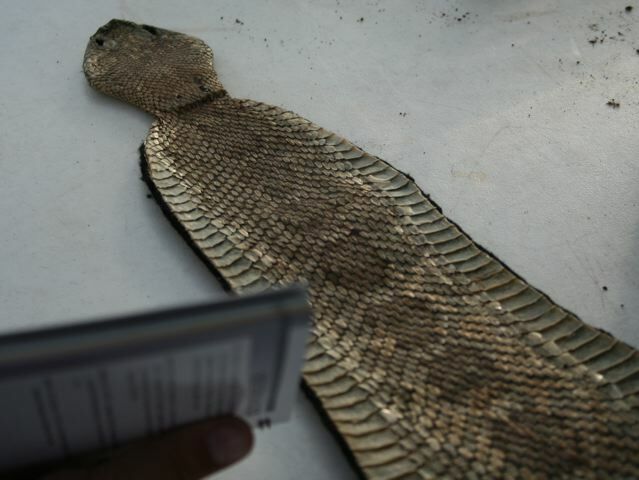 This is, of course, only done with snakes that are non-venomous. Naturally, in my case, this isn't done at all! The Intrepid Naturalists would like to share a bit more about desert reptiles and amphibians, but first--some photos of the desert sky at dusk tomorrow for Skywatch. There was also a live scorpion in a cage, displayed along with some black lights. Because scorpions fluoresce or glow under black light, they are easy to see in the dark with the aid of one of these lights. My photo didn't turn out so well, but if you will check out this article on scorpions you can learn more about scorpions and see a photo of one under a black light. Picture the empty desert and then, picture yourself out there walking around in the darkness. A few years ago, you would never have found me in this situation--but I guess I can still surprise myself. Last Saturday night we attended a really special event called Nighttime in the Desert, which was held at the Chihuahuan Desert Nature Park, a 935-acre site northeast of Las Cruces. 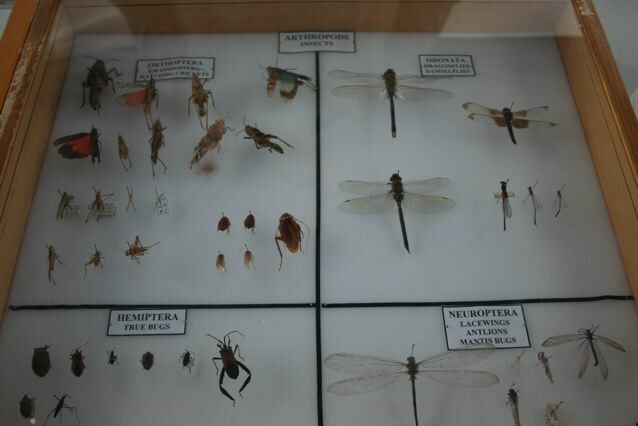 The Asombro Institute for Science Education, which is responsible for the park, works to foster scientific literacy in children and adults by teaching them about the desert, its plants and its animals. We arrived in the parking lot at dusk after a trip down a five-mile dirt road and were greeted by the Executive Director, Dr. Stephanie Bestelmeyer. Dr. Bestelmeyer wants to see people get excited by science, and she and her staff and volunteers make sure that happens as they share their knowledge and enthusiasm. The beginning of the trail was lined with learning stations, starting with a hands-on display that explained how meteorites impact landforms. The presenter, whose day job was at the nearby Johnson Space Center, and his 5th grade son were fascinating people who really knew their stuff and were ready for an evening of explaining meteorites to adults and children. That learning station was only the beginning. 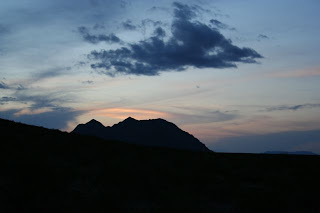 The evening to come was to be filled with one new experience after another, for an amazing night of desert education. Next: What can you find with a black light in the desert night? The Intrepid Naturalists Travel Through Time! I have always had a terrible time with fixing dropped stitches. 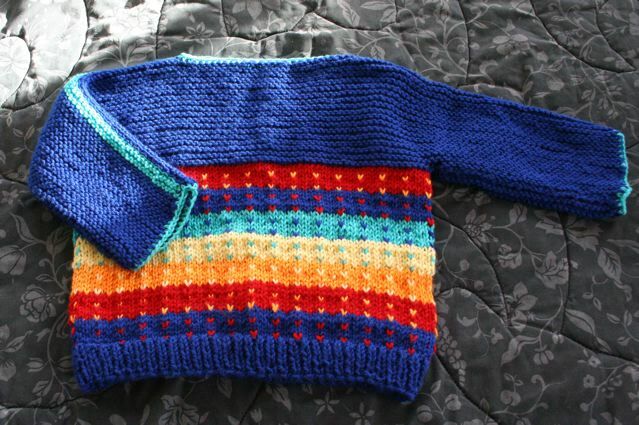 When I make sweaters for Knit for Kids, once the K1 P1 ribbing is completed, the body of the sweater is knit on round needles, round and round, all knit; which actually is stockinette stitch (just as if I had knit on the right side and purled on the wrong side on straight needles). When I drop a stitch in the body--a rare occurrence, I am usually able to fix it so that it doesn't show. 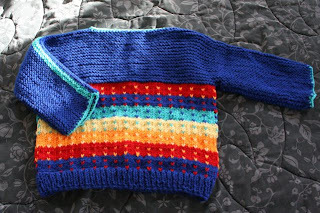 The yoke and sleeves of the these little sweaters are knit on straight needles in garter stitch (knit both sides) and that's where I have a problem. When I drop a stitch in this part of the sweater, no matter how hard I try I make a big mess trying to fix it and everything looks just terrible. I end up having to rip out back down to where the stitch was first dropped. However, that was THEN and this is NOW: I've found these wonderful video demonstrations of how to fix dropped stitches in either situation. I shouldn't have any trouble fixing my dropped stitches any more but, just in case, I'm going to knit up a little sample and practice dropping stitches and fixing them. These videos are part of a series on YouTube that are done by MarleneD1216. Check out the rest of her nice clear knitting and sewing videos here. Which is the Best Digital Camera for You? My Digital Photography class, which cost $65 for three classes and a field trip, was taken through the Las Cruces Museum of Art. Putting together this series, What I Learned in My Digital Photography Class, on my blog has really helped me to organize and better understand the mass of information that overwhelmed me during the all-too-brief meetings with our very brilliant and talented instructor. As I worked my way through the details, I came across quite a few resources that I would like to share with you. Some were mentioned previously; and some are to give you ideas and information far beyond anything I could tell you! 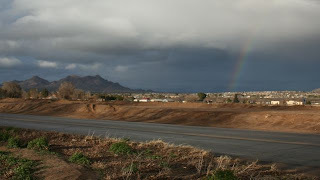 Basic Digital Photography.com--"Your Personal Guide to Digital Photography"--equipment reviews, tutorials on shooting, editing, organizing your photos. DigitalCameraInfo.com--Camera reviews and ratings, by brand and by type. Lensmodern--Online photographic handling agency, beautiful images. PBase--Browse images and galleries, see photograph and camera information. If you are considering a particular camera, see what kinds of photos people are taking with that model. Photo Editing Software--All are programs available online--basic versions of all but iPhoto and Photoshop are free. Photofocus, a blog by Scott Bourne (recommended in one of the comments on this blog by The Fabulous Penguin). It's full of useful tips and lessons. Photo.net--images, critiques, discussions, and tutorials. Pioneer Woman Photography--Tutorials from Ree Drummond, with clear, easy-to-understand explanations and lots of excellent photograph examples. Ree runs contests every once in a while and the entries are really something to see! Great prizes, too. During our last class meeting, our instructor threw a lot of ideas at us. Scribbling as fast as I could, I realized that our three evening meetings plus a field trip hadn't really given us the time we needed to explore even an introduction to this wonderful art/science. Here are some of the ideas that came out of that last discussion. It's a miscellaneous list, but a valuable one. Shoot a lot. Experiment with manual settings. 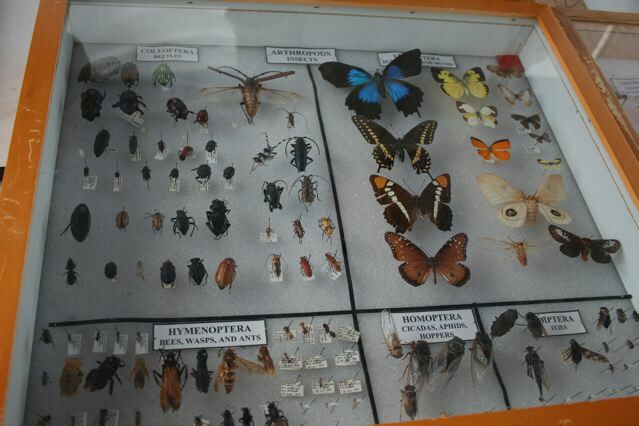 Look at the photo information to help you make comparisons. Learn from your experiments. In certain settings--a theatre, for example--you will want to ask permission to take photos before you start shooting. Offer to send copies of your shots via email. When a flash would irritate others or a performer, shut it off. Remember, we learned how to do this in a previous post (On the Subject of Light). Tell a story with your photos by shooting a series. Establish the setting with a wide shot, then move in closer and closer to your subject. Try some time lapse photography by setting up a tripod and shooting a photo of the same subject at the same time every day (or once an hour, etc.--you get the idea). The instructor mentioned a wonderful documentary film he had seen that showed still shots of a farm, taken over time as the crops matured and people came to work in the fields and then to harvest. Shoot a biography. 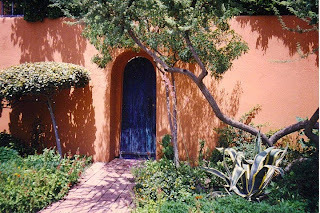 For example, take portrait shots of an artist, then photos of her studio, her tools, other settings where she might produce her art, then the works of art themselves. We saw such a series in our class--the photos of the artist's hands and of his workbench and tools (with the artist absent) were very powerful. Shoot a series using a theme--gates, doorways, or windows, for example. It seems to me that "archiving" is just a fancy way of saying "saving." Until I took this class, I felt that saving my photos to the hard drive and to an online album like Picasa was good enough. However, I guess when you really take a lot of digital photos you might want to also put them on a CD. When doing this you can print an index to go along with the CD. And, of course, you can print your pictures as well, but you should know a few things about that. Because I take photos mainly for my blog, I haven't had anything from my digital camera printed yet and didn't know anything about the process. I discovered that you transport the photos to the photo lab by first downloading them to your flash drive or to a CD. I was interested, and a little dismayed, to find out that regular commercial printers will automatically crop your digital photos on all sides by 5%. You should certainly keep this in mind while shooting, or you can just decide to go to a custom printer, where you can get your photos printed exactly the way you want, and have them enlarged (all the way up to poster size) or printed on specialty papers and even on canvas. 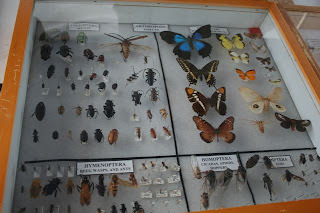 Again, because I have thought of taking photos only to put online, I hadn't really thought about displaying them anywhere else. 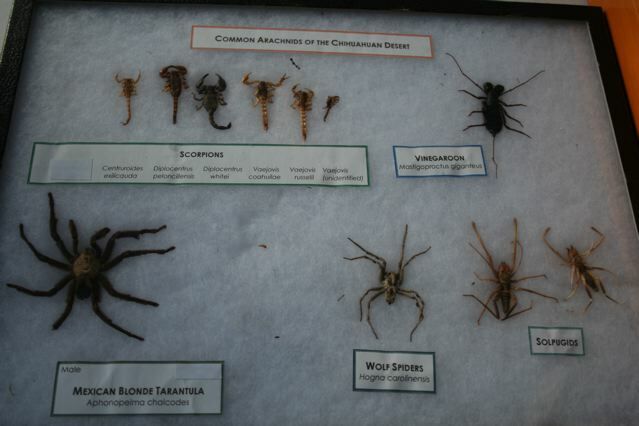 However, our instructor encouraged us to print and frame the best of our shots and to hang them at home. He suggested grouping framed photos by theme, or getting the best of the best enlarged to "painting"-size. It's a good way to look even more deeply into your photo results, and a guaranteed method for getting some feedback. I see it all the time in photos--the photo isn't sharp, the horizon line is tilted, or there is too much extraneous "stuff" in the background. As our instructor constantly pointed out to us, you should strive to shoot the photo correctly from the beginning. Always. And for those times when your photos need a little help, there is editing! Of course, whole books have been written on special effects that you can do with your photos, but if you just learn a bit about straightening and cropping photos, your results will improve dramatically. We used iPhoto (great software that comes already loaded on Mac computers) in our class, and that is what we have at home, too. I have also used Photoshop on our old computer. In addition to these software packages that you can purchase, you should know that there is also an open-source, no-cost version of photo editing software available to you, called Gimp. It's a little tricky to figure out, but it's free! Another online freebie is Picnik, which has all kinds of fun effects that you can play with. Check out Picasa (free photo editing software from Google), or Paint (for Windows). Remember, you can always duplicate your original and just play around with the duplicate until it looks just the way you want it to. Now here's a subject that was all new to me, easily understood, and very useful to know. You know how sometimes the color in your photos just seems a bit off? Perhaps there is a strange cast to the colors that you know wasn't there when observed by your own eye? That's because we are taking photos under a variety of light conditions. Your camera will not always see "white" as the pure "white" you want it to be (although our own eyes tell our brain that the white is white), depending on the light source--sunshine, shade, artificial light, etc. We can make the assumption that if white looks right in your photos, the other colors will, too. You can deal with this "white balance" by doing one of three things: Leave the white balance on "auto" and take what you get, choose to set the camera's white balance from a variety of choices, or set up a custom white balance. My camera gives the following choices, in addition to auto and custom: Daylight, shade, cloudy/twilight/sunset, tungsten, white fluorescent light, or flash--each has a little icon that shows up when I press the shutter halfway, so I can see what setting I have already chosen. I find all these choices on the white balance menu, and you will, too, once you check your manual to locate the menu. If you choose, instead, to set up a custom white balance, you shoot a white object that will serve as the basis for the white balance setting. By selecting this image, you import its white balance data for the white balance setting. (Quoted from my camera manual). There! That's white balance, and now that you know about it, you should find that the colors in your photos will look a little truer to your eye. If you would like to read more about this issue and see some photos illustrating how different settings affect results, read this photo.net article on White Balance by Jon Sienkiewicz. I learned a bit about aperture and shutter speed back when I was teaching myself film photography from a book, many years ago. I can tell you this much--the aperture refers to the size of the opening of the diaphragm that lets in the light, and the shutter speed is how long the shutter stays open. I can't say that I learned much more on the subject during our all-too-brief course in digital photography. If I truly understood the relationship between aperture and shutter speed, I could go on. However, in all honesty, I don't understand the subject well enough to explain it to anyone else. I can only recommend that you do the following. First of all, go to Pioneer Woman Photography, where you will find some of the clearest explanations I have ever read, complete with plenty of photographic examples. Read What the Heck is an Aperture?, found in the Exposure Archives and in the What the Heck? Basic Photography Archives. I've discovered that I can read a bit of Ree's explanations, then go off and try a bit of application, then come back later and repeat the process. In doing so, I learn almost more than I was able to take in from my entire Digital Photography class. Sit down with your camera and play with the settings. Take lots and lots of shots, changing the variables (aperture, shutter speed, and ISO) and look at your results. Then, perhaps, you can explain the subject to me. I'm on dangerous ground here, attempting to explain something that I can just barely understand myself. Just keep that in mind, and proceed with caution. When the instructor in my photography class asked, "What is ISO?" I can't begin to tell you my thoughts, but I'd like to try. ISO? What do you mean, what is ISO? How the heck would I know? I thought you were the instructor here? Yes, my thoughts ran along those lines. Things didn't get any clearer when one of my classmates answered rather triumphantly, "ISO is what ASA used to be!" I had to hold on to my chair to keep myself from fleeing. ISO (according to my camera's manual) is a numeric indication of the sensitivity to light. The actual letters stand for International Organization for Standardization. A doubling of the sensitivity of a film requires a doubling of the numerical film speed value (from "Film Speed," Wikipedia). So, according to my calculations, an ISO of 200 means double the sensitivity of an ISO of 100. The numbers I can choose on my camera in manual mode range from 100 to 1600. When shooting with an automatic setting, the camera will choose the ISO for you. My camera stays within 100 to 400, unless I mess with it, as I did on the fateful day when our assignment was to shoot photos at the Farmer's Market, using all manual settings. All you really need to know is this: The brighter the day, the lower you should set the ISO number. On the other hand, if you are shooting in a low light situation, you will want to set the ISO at a higher number, which means that your camera will be more sensitive to light. The good thing about this messed up assignment is that I will never forget: The higher the light, the lower the ISO. For a much clearer and more knowledgeable explanation of ISO, please visit Pioneer Woman Photography: ISO Setting. Ree will set you straight in no time! My photography instructor was able to touch on the subject of landscape photography only briefly, due to the very limited number of classes in our short course. I am hoping that we will be able to spend a little more time on the subject in the next course that he teaches. Don't just take a photo of distant hills--frame the landscape with some close-by flowers, branches, or other objects to make the photo more interesting. Scout out some good locations ahead of time, so when the light is right (or when it is about to be right!) you can dash to your perfect spot as quickly as you can to take advantage of the opportunity. My patio has a wonderful view of the mountains, for example, but that darned telephone pole is right in the way. All I have to do is to remember to remain publicly presentable at all times so that when the moment comes, I can run past the pole to get my perfect picture! Who knew that retirement would be so much fun? I loved working with kids and books and technology as a school librarian, but now I love having time to get together with friends, and to enjoy walking, taking photos, reading, researching, blogging, knitting, and gardening. Everybody Knows You Have to Read the Manual, LOL! "The world is so full of a number of things, I'm sure we should all be as happy as kings." 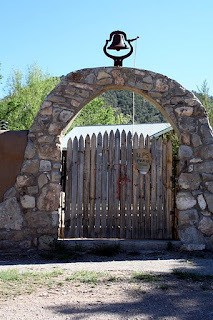 "Sun, silence, and adobe - that is New Mexico in three words. " "All calculations based on our experiences elsewhere fail in New Mexico."